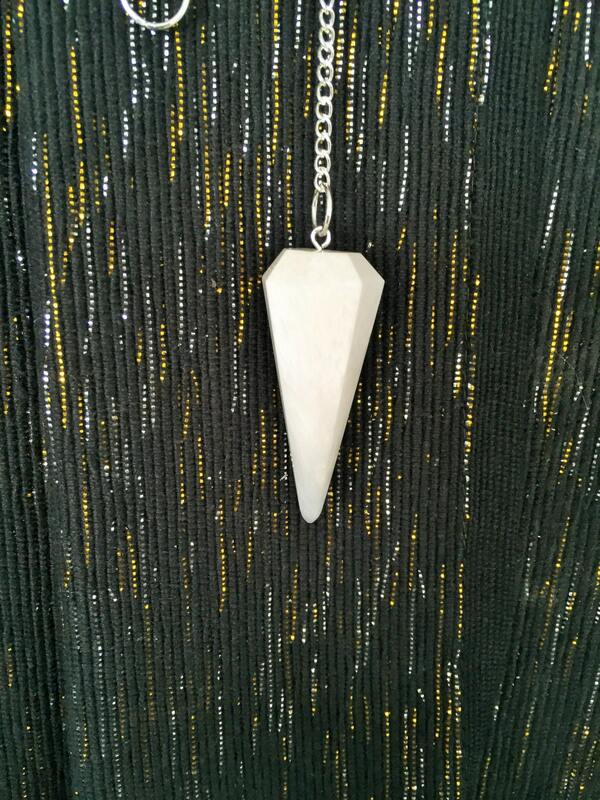 SIZE:Pendulums are 6-sided with a silver chain that has a tumbled clear quartz bead at the end. 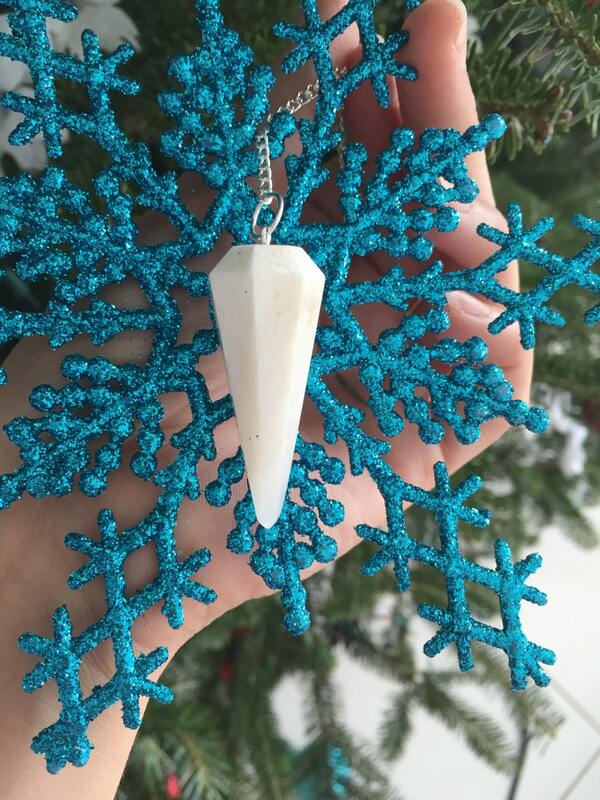 The pendulums measure about 7" long with the gemstone itself measuring approximately 1.5"-2" long. 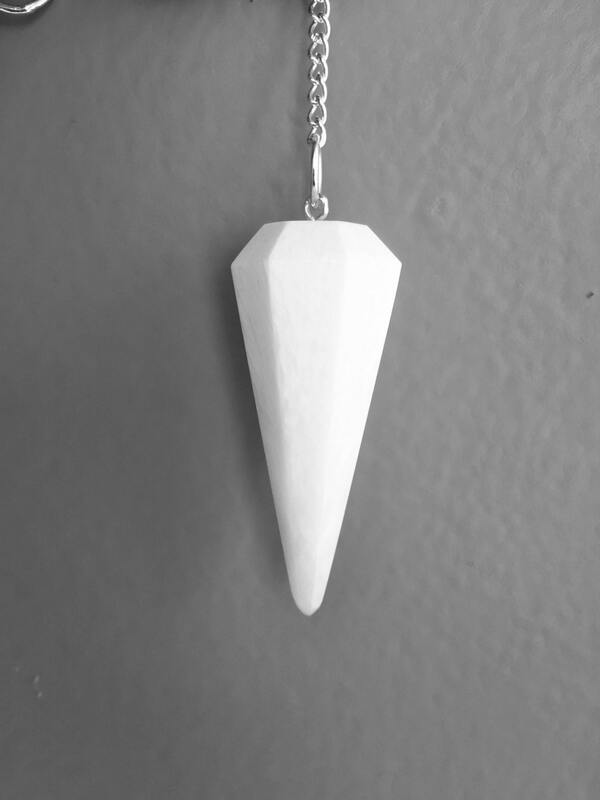 More variation in the white color than I expected from the photo, a very stout pendulum that feels good in my hand. 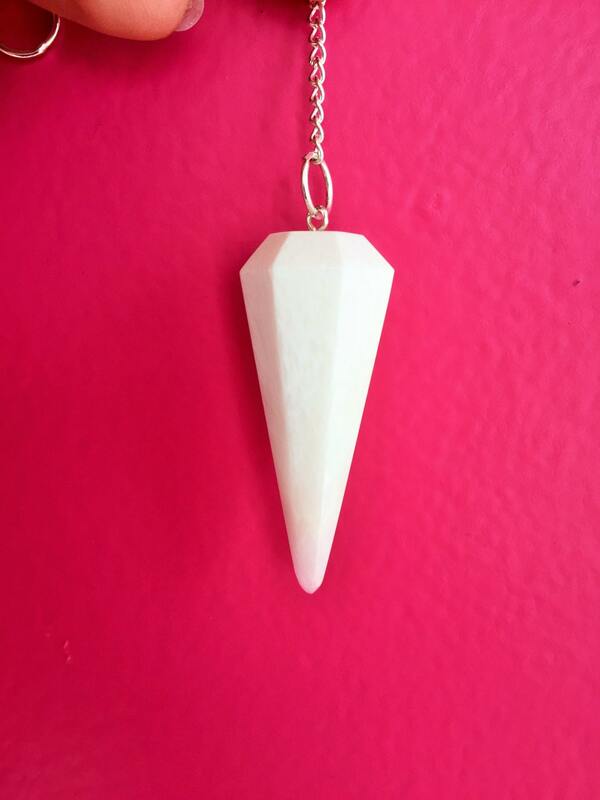 Love my pendulum. He is an interesting energy and wanting to help me with self healing. Much heavier than I expected, which I like. He is a great addition to my collection. 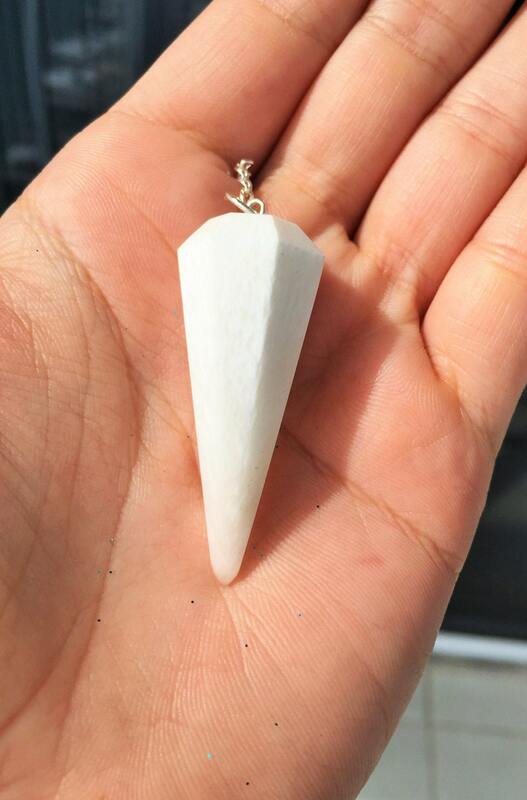 Absolutely beautiful, I can already feel the higher vibrational energy and can't wait to use it. Thank you!